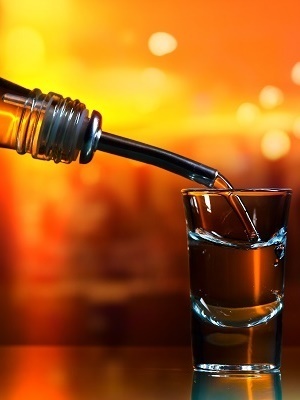 CINCINNATI, Ohio (Legal Newsline) - An Ohio federal court judge has dismissed most of the claims in a class action lawsuit against the Texas-based maker of Tito’s Handmade Vodka. In Terlesky v. Fifth Dimension, Judge Susan Dlott of the Southern District of Ohio, Western Division, granted in part and denied in part a motion filed by Fifth Generation to dismiss Anne Terksley’s complaint on Nov. 17. “Conceptually, this consumer feels like they were tricked," said attorney J. Michael Keyes, a partner at law firm Dorsey & Whitney Seattle. "And on its face, it seems plausible that there’s something there. There certainly have been, as you may be aware, some other cases that have been brought against Tito’s." According to reports, there have been at least eight Tito’s Handmade Vodka class action lawsuits filed against Fifth Generation across the country. In September, the claims in a Florida class were all dismissed except the express-warranty claim. And in a California case in March, the plaintiff’s negligent-misrepresentation claim was the only one that stood. In Terlesky’s case, she alleged Fifth Generation was in violation of the Ohio Deceptive Trade Practices Act, the Ohio Consumer Sales Practices Act, unjust enrichment, promissory estoppel, negligent misrepresentation, fraud and declaratory judgment/injunctive relief. Fifth Generation’s motion to dismiss the complaint was granted in part -- all the claims were tossed out except promissory estoppel. A promissory estoppel claim under Ohio law consists of four elements: (1) a clear, unambiguous promise; (2) reliance upon the promise by the person to whom the promise is made; (3) the reliance is reasonable and foreseeable; and (4) the person claiming reliance is injured as a result of reliance on the promise. In establishing her promissory estoppel claim, Terlesky alleged that the defendant made clear promises about Tito’s vodka that were false and misleading when it misrepresented the product as “Homemade” and “Crafted in an Old Fashioned Pot Still.” She also claimed that she purchased the Tito’s Vodka once a month for several years because she relied on the aforementioned promises. The court determined Terlesky had adequate facts to support a plausible claim of promissory estoppel. Tito’s Handmade Vodka was established by Bert Butler "Tito" Beveridge II. Commercial production of the vodka began in 1997 when Beveridge formed Fifth Generation.